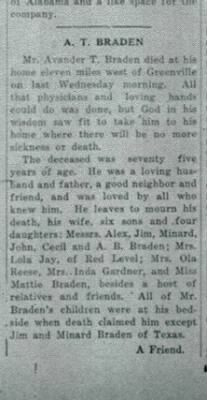 Avander T. Braden obituary from the Greenville Advocate. Also known as Avander Marion Thesslon(Theleslen) Braden or A.M.T. Braden.